Easy to use without practice or instruction, Especially beneficial for men and women who experience difficulty falling asleep, have difficulty with adapting to time-zone changes, or that work non-traditional hours, late, night or early morning, find it easy and effective. The dark mask blocks out the light so your body produces melatonin, helping you to relax quickly and fall asleep naturally, day or night. Glo to Sleep™ retrains your mind by calming active Beta brain waves so you can clear your mind of thoughts and worries and attain the Alpha brain-wave state that allows relaxation and sleep. 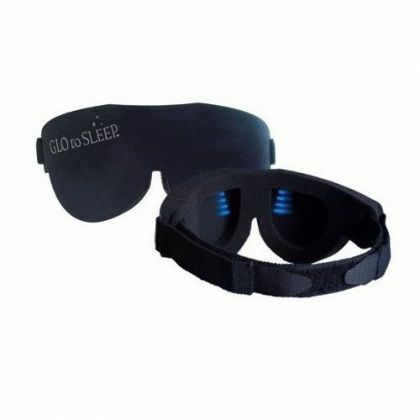 A sleep therapy mask that blends Eastern mediation techniques with modern technology to give you a good night's sleep without a prescription or over-the-counter sleeping pills.